Bid Size Shown May Not Represent Size Indicated. Pillows Not Included. The Tencel Cooling Cover helps circulate airflow for supreme temperature control. Gel Memory Foam allows for the absorption and redistribution of heat while also distributing your weight evenly, relieving pressure and pain. This mattress is safely made for you without using any ozone depleters, PBDEs, TDCPP, mercury, or lead. Adaptive Hi-Core Memory Foam supports your body and provides both rebound and bounce. The Nectar MF Twin XL Medium Firm Memory Foam Mattress by Nectar at Sam Levitz Furniture in the Tucson, Oro Valley, Marana, Vail, and Green Valley, AZ area. Product availability may vary. Contact us for the most current availability on this product. 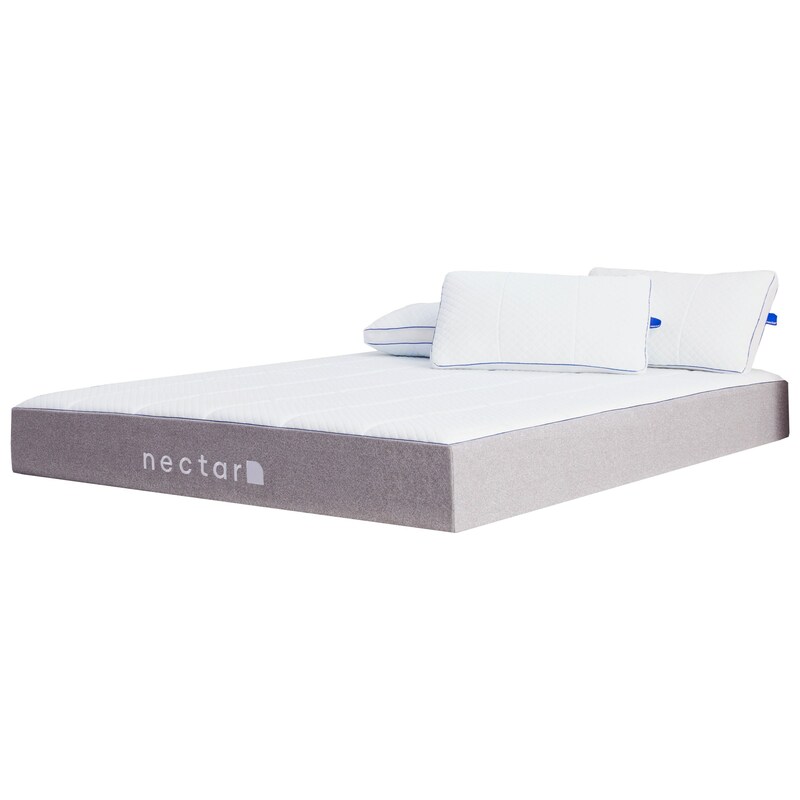 Change the way you sleep for the better with Nectar's Medium Firm Memory Foam mattress. The Breathable Base Layer reinforces airflow and gives you a stable foundation. A layer of Adaptive Hi-Core Memory Foam supports your body and adheres to your pressure points for back relief. A Gel Memory Foam and a Quilted Gel Memory Foam distributes your weight evenly for contour support while also increasing airflow. The Tencel Cooling Cover further helps circulate the air for a cool and comfortable night's sleep. The Nectar MF collection is a great option if you are looking for Mattresses in the Tucson, Oro Valley, Marana, Vail, and Green Valley, AZ area. Browse other items in the Nectar MF collection from Sam Levitz Furniture in the Tucson, Oro Valley, Marana, Vail, and Green Valley, AZ area.